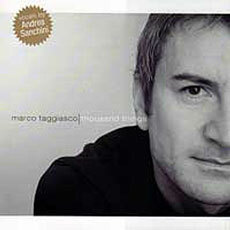 “Thousand Things” by Marco Taggiasco featuring Andrea Sanchini! Marco Taggiasco mostly works as arranger, producer and songwriter. He began to play organ at age 16, self-teaching harmony and music theory. Soon he started to gig around with his own bands, playing electric piano back in the late 70s and 80s. Combos included horns and percussion and featured some of the best session players from the italian scene. The sound was an orchestral kind of fusion somehow recalling Crusaders and Bob James stuff, with an original-songs based repertoire. In the 90s he concentrated his activity in the studio, working as arranger and producer for singers and eventually as bandleader for their live acts. His works also include arranging for big bands and writing music for theatre and short movies. At the end of the 90s he released the promo EP titled “Four Love Ballads”, containing 4 songs written and produced in a classical adult contemporary style, to let publishers know about the songs. It still can be ordered through the artist’s website. In the 2000s Marco met Andrea Sanchini, a young male vocalist and songwriter. Marco was impressed by his soulful and expressive voice and asked him to sing some of his songs. Hearing Sanchini’s own songs, he decided to produce them and put everything on a record. “Thousand Things” soon gained good reviews on the most important adult contemporary and westcoast music sites worldwide, becoming sort of a little cult item in Japan and Northern Europe. It also earned compliments from music giants such as multi-platinum producer Eumir Deodato as well as from adult contemporay artists like singer/songwriter Eric Tagg. A DVD release "Live at Circeo" will be available through Marco's site on DVD-R, PAL format. It will include eleven songs and a bonus for a total time of one hour show. “I really didn’t expect such a feedback” Marco says “I arranged and recorded the songs with no commercial boundaries, not worring about formats or trends, but soon we had to reprint the album cause the little stock went sold out! So we decided to promote it with concerts, ending up with the making of a DVD this past summer. Real big fun!”. 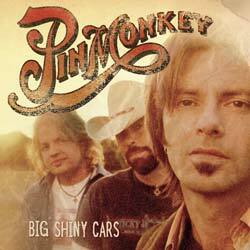 "Big shiny cars", Pinmonkey's new album! International recording company Back Porch Records is proud to announce the signing of progressive country band, Pinmonkey. The group’s new album, BIG SHINY CARS will be released on March 7, 2006. Pinmonkey is quickly gaining recognition among roots rock devotees. Their powerhouse single Barbed Wire and Roses stormed the Country Music Chart and their self-titled album was one of the most highly-anticipated and criticallyacclaimed country records of 2002. All of this led to an Academy of Country Music nomination for Best New Group. This workhorse band has spent the last 3 years on the road, working with a virtual who’s who of Country Music royalty, including Tim McGraw and Willie Nelson. Bassist Michael Jeffers adds, “And we are looking forward to getting back on the road and doing what we love - performing live!" The new album not only features Pinmonkey originals, but also tracks penned by songwriting venerables Dolly Parton, Matraca Berg, and Bruce Robison. Pinmonkey will also embark on an extensive tour throughout 2006 to support the new album. Rascal Flatts to release 4th album! Multi-platinum selling group and Grammy nominees Rascal Flatts will release their fourth album, Me and My Gang, on Lyric Street Records on April 4, 2006. Recorded in Nashville, TN, the album is co-produced by Rascal Flatts and Dann Huff. The first single, “What Hurts The Most,” written by veteran hit-maker Jeffrey Steele and Steve Robson, debuted at radio with a career-high chart position, currently at #13 R&R -with its third straight week as greatest gainer- and #15 Billboard, both in just 3 weeks. 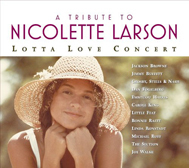 Read this very interesting piece of news from the Billboard : Rhino has set a Feb. 14 release date for "Lotta Love Concert," a tribute to late vocalist Nicolette Larson staged Feb. 21-22, 1998, at the Santa Monica (Calif.) Civic Auditorium. Best known for her 1979 top 10 Billboard pop hit cover of Neil Young's "Lotta Love," Larson died in 1997 at the age of 45 after suffering a cerebral edema. Alain Chamfort's "Rock'n rose" to be re-released! Alain Chamfort, talented french artist is preparing a new album for 2007 and the re-release of all his records including "Rock'n rose" written with Serge Gainsbourg, featuring Jeff Porcaro, Steve Porcaro, David Foster, Jay Graydon to name a few. Check out our section "Westcoast from France"
John Hall announced that he is a candidate for U. S. Congress. John Hall, award-winning musician and citizen activist, former county legislator and school board president, 35 year member of Local 802, A.F. of M and AFTRA, has announced his candidacy for United States Congress in New York's 19th Congressional District. John Hall was born in Baltimore, MD, to James A. Hall (PhD. in electrical engineering) and Marie W. Hall (Masters in English and Divinity). He grew up in Elmira, NY, where he attended both Catholic and public schools. During his three years at Notre Dame High School, he was selected for three National Science Foundation summer programs at Assumption College in Worcester, MA. Skipping his senior year, John went to Notre Dame University at age 16 with plans to major in physics. Meanwhile, music had been calling John since he was four years old. He started formal piano studies after his parents noticed him playing the Marine's Hymn with both hands. With classical theory guiding his instincts, John went on to study French horn, play organ in church, and teach himself guitar, bass and drums. After studying at Notre Dame and Loyola College of Baltimore, John began his professional music career in the clubs of Washington DC and New York City. He now looks back on a thirty-five year career during which he has recorded eighteen albums and CDs, written and directed music for Broadway and Off-Broadway shows. He has played guitar for, produced, and/or written songs for Janis Joplin, Bonnie Raitt, Chaka Khan, Ricky Skaggs, Chet Atkins, Steve Wariner, Bobby McFerrin, Linda Ronstadt, the Doobie Brothers and James Taylor. He is perhaps best known for his work with the band Orleans, of which he is a founding member. John co-authored their hits "Still The One" and "Dance With Me," which have been certified for over four million airplays each in the U.S. alone. "Wanna go back!" or the return of Eddie Money! 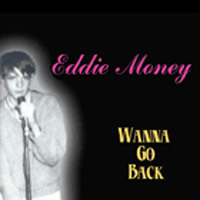 Eddie Money is happy to announce that his new CD "Wanna Go Back!" is all finished and scheduled for release on February 9th! He is extremely excited about this CD and can’t wait for you to sink your teeth into it! His daughter, Jessica, makes her recording debut on this CD, and he cannot believe how fast that she has grown up and how good she sounds! At first, the CD will be available only thru his website and, of course, at his live performances, where he can autograph it after the show at the merchandise table. On his website there will be a link to www.cdbaby.com, who will be serving as worldwide online retailer. He will celebrate the CD with a “Record Release Party” show at B.B. King’s in Times Square on the day of release, February 9th. Jessica will be there to join the band, as well a horn section to really belt out the new material! "everything" & "Love never fade" by Michael Ruff! Michael Ruff released two new records, "Everything" with Joey Heredia (El Grupo), Renato Neto, Marco Mendoza (Soul Sirkus, Whitesnake), Olivia Ruff & James Harrah available from Owit Music and "Love never fade" available from Ruffmix Music. Two 2005 cd releases featuring Joe Pizzulo! In 1983, Joe Pizzulo met Sergio Mendez and recorded the international top-ten hit "Never Gonna Let You Go". He has enjoyed subsequent successes with "Alibis" and "Take This Love", also with Sergio Mendez. More recently, he has completed work on albums for Heart, Eddie Money, Paul Young and Tony Handley. Joe's talent is consistently called upon by the most respected producers in the business. His many television appearances include, "The Tonight Show" and "Arsenio Hall". "All the best", where Joe Pizzulo covers "I'm Never Gonna Give You Up" origianlly performed by Frank Stallone for the movie "Stayin' Alive" (1983) and the Celine Dion/Andrea Bocelli's duet tune "The Prayer" co-written with David Foster for the motion picture "Quest For Camelot", and sings his Sergio Mendes' hits including "What Do We Mean To Each Other", "Take This Love", "Let's Give A Little More This Time" and "Never Gonna Let You Go". On "I'm Never Gonna Give You Up" and "What Do We Mean To Each Other" Joe sings in duet with nina a popular singer from Philippines. The second release is "Memories of love" featuring Joe Pizzulo, Lou Pardini and Kevyn Lettau. Recorded live during a concert in Philippines, "Memories of love" captures the best vocal perfomance of these three talented singers, featuring their greatest hits and love songs. Gov't Mule in the studio ! Following a few days off after the New Year's shows, Gov't Mule is returning to the studio to record its follow-up to Deja Voodoo. Warren flew down to Austin, TX yesterday to write with producer Gordie Johnson (Big Sugar) and the band and crew will join him next week and enter Willie Nelson's famed Pedernales Studio to begin recording. The soon to be launched mule.net/inthestudio will be providing you with "fly on the wall" access to the recording of the new Gov't Mule record. Beginning January 18th with rehearsal, and continuing through the entire recording process, come to mule.net/inthestudio for daily updates including a blog, photos, streaming video, and more.